On the latest episode of Counting On, Joseph Duggar and Kendra Caldwell got married. All thanks go to the wedding planner and Best Friend Forever of Jana Duggar, Laura DeMasie. Counting On is an American reality show, telecasted since 2015 on TLC cable network, based on the lives of the Duggar family. There are 19 siblings in the Duggar family and Jana Duggar is the oldest daughter, 32-year-old and still single. Laura was born on June 16, 1985. She has two sisters and one brother, named Nathan DeMasie, Caryn Pruitt, Bethany Malloy. Professionally, Laura started her career as a graphic designer and publisher. She has worked with IBLP and went into event planning after that. 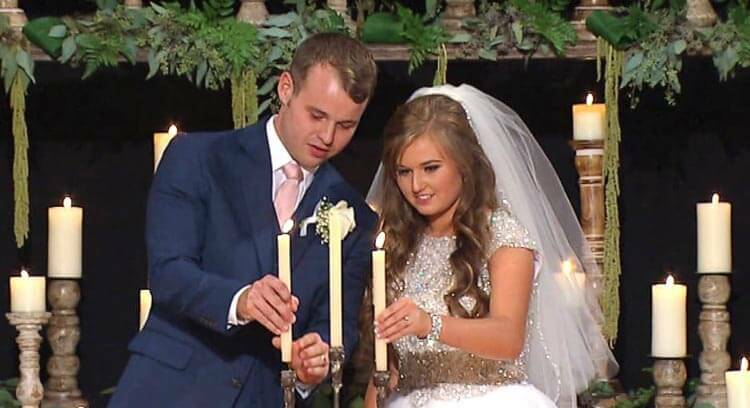 She has successfully managed the recent wedding of Joseph Duggar and Kendra Caldwell and also connected with the wedding of Joy-Anna Duggar & Austin Forsyth. She has a major connection with Duggar family and BFF of Jana Duggar. Laura was engaged in the media profession since 2013 with the Embassy media. Company majorly cover-up and maintain the online media library of ‘Institute in Basic Life Principle’. They aim at the understanding of the five life roles and how can one improve his relationship with the God. Every person has to perform his role as Partner, Parent, Provider and Proclaimer and by doing so, he can influence his effectiveness. Inspired by her previous organization of work, Laura has spent much amount of his work on adding values to the society and human relations. She also helped out the victims of Hurricane Maria on 27th Sept. According to the report, there was a team of emergency trained pilots and EMTs who flew to rescue the victims, providing them food assistance, medical assistance, shelter assistance. How’s the Married Life of Joseph Duggar and Kendra Caldwell Going?